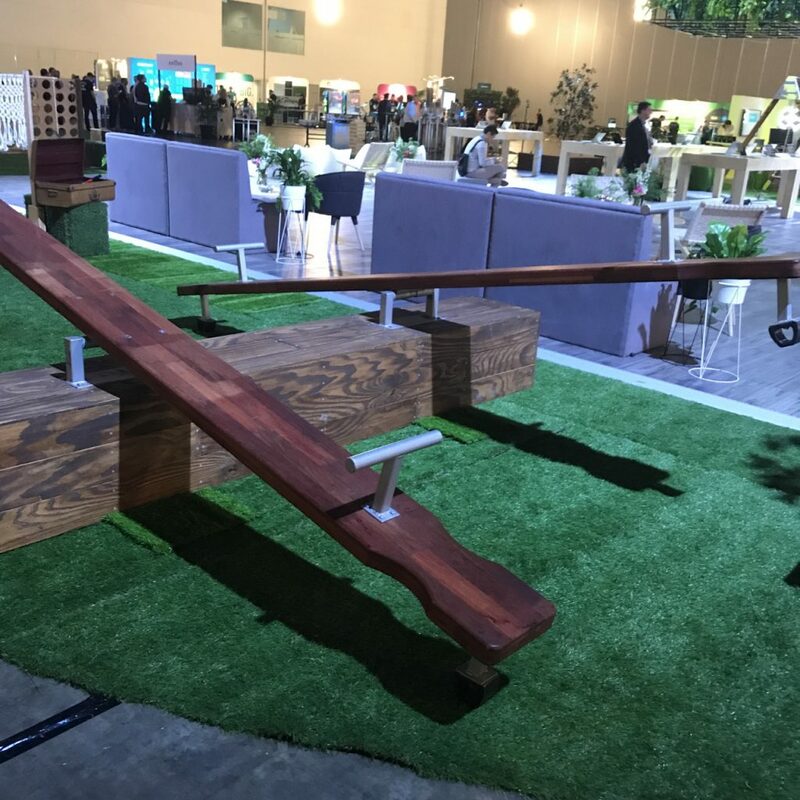 How we help local garden centres compete with Bunnings and other massive businesses | A blog about smart POS software for independent small businesses. Local garden shops are wonderful places where you can get local advice, brilliant service and the right plants and products for your own local garden. Using our garden centre software, garden centre owners and staff can leverage their local knowledge and provide assistance and services that shoppers will not experience when they go to the mass garden retailers. Our customers can encode in our garden centre software local knowledge and service information such that it is provided to customers on purchase of products. This is more valuable and loved by local gardeners than the less personal experience they are likely to have in a mass retail situation. Developed specifically for garden centres, our garden centre software has facilities in the software that are specific to the retail channel, tools that help that specific type of business to operate more efficiently a dot better serve the local community. And this customisation for garden centres continues thanks to our commitment to the continuous improvement of our POS software. From the sales counter to the back office, this software helps you structure your business to improve operational consistency, save time, easily reorder and be confident in your business decisions thanks to easy access to business data. Our Point of Sale system has excellent stock control, layby, shopper loyalty, business reporting and other facilities. You can easily scan sales, track business by employees, handle LayBys and reward customers thanks to a range of shopper loyalty options. Receipts can include product care information – offering another level of personalisation of customer service. EFTPOS payments can be done through a terminal connected to your computer. Every business is different. Our sales approach is to find out about your needs first. We like to understand your business, to see if we can serve needs you have. Best of all, we have freight options that are important where you truck in items by bulk and sell items by bulk. The facilities in our software truly are tailored for local garden centre businesses. It is a public holiday in Melbourne today, where our head office is located and our main help desk team. We have people in place to provide customer service on the help desk for the shorter hours of 8:30am to 5pm. Our after-hours numbers are live for urgent calls too. Small family owned gift shops have a tough job competing with online, department stores and specialty chains. However, compete they can thanks to terrific tools in our small business gift shop software. Encoded in our gift shop software are facilities designed specifically for locally owned gift shops. We help them retain customers through valuable facilities. Through engaged pricing tools, smart loyalty offers, insightful reports and more we offer retailers the ability be nimble and thereby more effectively compete locally on all fronts. Gift retailers can leverage facilities in our software to drive sale opportunities, pitch offers to bring shoppers back, reward loyalty, reward valuable team members, know the best suppliers and track the performance of space in-store. We love helping independent retail shops to prosper and will help in any way we are able. 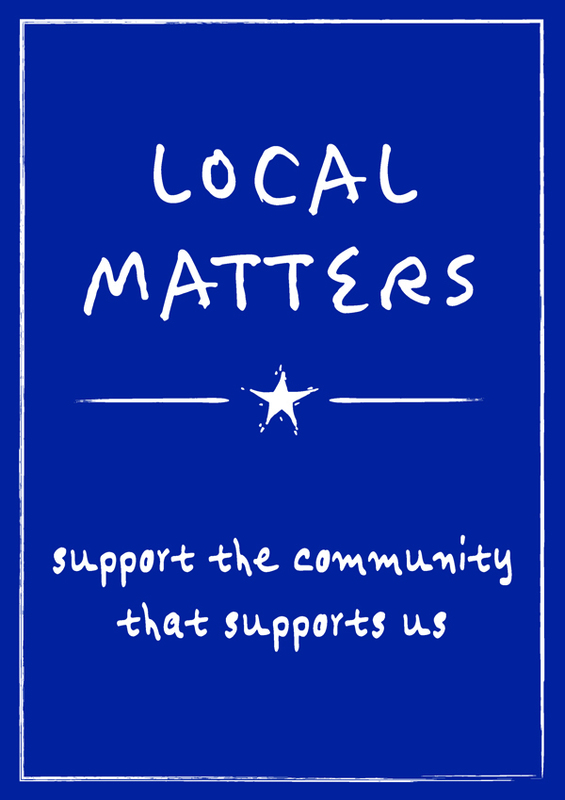 Owning gift shops ourselves better informs us as to what is important in this area of local independent retail. Walking in the shoes of our customers helps us provide better software and back it with better service. Attract new shoppers. We have several smart loyalty options that help drive word of mouth and word of mouth drives new traffic. Increase sales. We show you what to put with what, what smart product adjacencies get shoppers spending more. Front-end loyalty helps get today’s shopper buying more today. Getting rid of dead stock and buying what actually sells helps drive sales. Employee sales tracking helps you coach employees better. Reduce costs. Tracking sales by time helps you create a more cost-effective roster. Making less stock buying mistakes reduces costs. Streamlining the sales counter, credit card processing, Lay-By, customer accounts, product pricing and product reordering can cut labor costs and cut management time. Make your business worth more. New business purchasers want a business that is easy to run. We can help make your business easy to run. They also want a business that is successful. We will help you drive your success. Every day in small business retail shops personal service matters. For many local independent retail businesses, personal service is the differentiator, the thing that shoppers remember and brings them back. No matter how cool products in a shop are, if the service is not personal with a shopper they may not return. Equally, no matter how mundane or everyday products are in a shop, personal service may show them off in a light that makes the experience so delightful that the shoppers think first and only of the shop when next wanting such products. Just as personal service matters in retail, it matters with POS software in terms of customer service and it matters with POS software and the personal service facilities in the POS software. The Tower Systems small business POS software has encoded in to facilities that help a small business retailer show off personal service, to deliver a level of personal service consistently through shopper facing touchpoints that are managed by the software. These personal service facilities in the software help the retailer to be personal, efficiently. On our receipts, we can include care instructions for individual products or local advice that relates to the products in a way that only a local retailer can know. These facilities encoded within the software enable local small business retailers to personalise the experience in a structured way. Retailers have 100% control over the serving of this information. On the customer display we can show products and other information that further enhances the personal service experience. Retailers using our software can easily remember important dates such as birthdays, anniversaries, required check in dates, servicing dates, vaccine dates and far more. Indeed, there is no limit to the services that can be provided to personalise a shopper experience based on anniversaries and other date-based information through which a retailer can better serve customers. For many local small retail businesses, personal service is the big differentiator. Here at Tower Systems we are committed to evolving our support for delivering more and better personal service opportunities through our software. How far we go will be a function of suggestions from our customers. Mark Fletcher is the owner of Tower Systems. His mobile phone number is 0418 321 338. His email address is mark@towersystems.com.au. This information is on our website and almost every piece of company literature from our weekly customer email to our print newsletter to marketing literature. It is rare for a POS software company Managing Director to be so accessible to customers and prospective customers. We think such accessibility is important as it speaks to trust in the company, its products and its customer service. It shows the Managing Director as having such faith in the business that they are happy for people to know how to reach them directly. To small business POS software businesses that do not publish this information, that do not make it readily available, we would say what are you afraid of? Why not let people get straight to the top? A common contact with Mark is from customers who ring or email to say they are happy with an enhancement in the software or to compliment a team member for a service they have provided. Being accessible for this type of contact is as important as being accessible for people who would like to complain about a poor service experience. Tower Systems is a business about people, small business people. Personal service matters in small business retail as much as it matters in a small business POS software company. It matters a lot. Therefore, we trust the process and gladly share the direct contact details of our Managing Director. Mark’s background is diverse, meaning he can speak to a range of topics from retail strategy to retail business management to software design to actual use of our POS software. Most weeks he has time behind the counter in one or more of the retail businesses owned by Tower where he gets hands on with the software and with in-store customers. This personal engagement with the software in a regular basis provides personal experiences that not only inform the direction of the software, they also inform the services provided by the company and provide context for some direct contact with customers. Day three is close to an end and we have been toting up the value of this event, The Retail Quarter, so far. It has been terrific. While the event is small and the aisles not overflowing, this fair has attracted quality retailers with space and time for a good chat about what we do. We love it. We are grateful for the opportunity to show off our POS software to many retailers in multiple retail channels. Here at Tower Systems we believe in making things easy for our customers. This is why we do not use a computerised phone system with a menu a caller must navigate to get to the place in the company they want to contact. It is also why we show our customers the people they can speak with. Real names with real photos and real contact details. It is why we support multiple contact points such as phone, mobile phone, email, direct to our website queries, online chat, a private Facebook group, local user meetings, trade shows and more. Yes, contacting us is easy. It is also a differentiator for us, one we are proud to support and grow. In addition to the easy contact points we offer our customers, we support this with a structured escalation process, to provide small business retailers with escalation points on which they can rely to take any issue, concern or dispute further. These structured layers provide peace of mind to our customers and to our team members as there is knowledge that a door is never closed and that there is always an ear to listen and help. While phone calls to our help desk are the most common method of contact with us, we are equally accessible by email, Facebook and elsewhere. We make sure we are where our customers want us to be. This is what we think good customer service is about – being accessible. The priority service we provide our customers enables them to determine the importance of their contact with us. In setting their contact priority, they determine the speed of response they want. This is a form of self-triage for our customers. The result is greater focus on delivering to the service levels we publish. We do not understand why POS software companies require customers to only email them with support queries. Often a query starts with a conversation. As the conversation evolves, the actual query emerges. This is important because sometimes small business POS software users don’t know what they don’t know, they are unable to ask a question that may be relevant. This is where early human to human interaction on the POS software help desk is vital. One day to go and we’re excited. 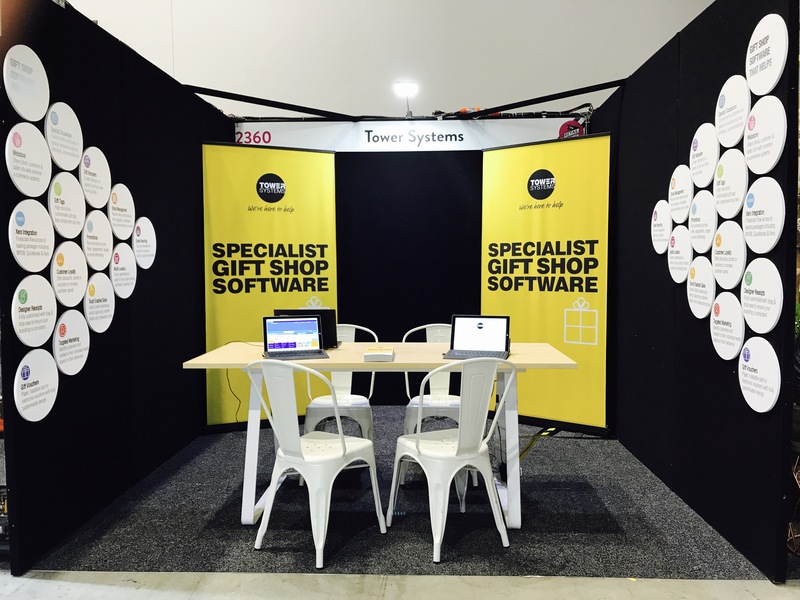 Our POS software is set to show off at The Retail Quarter in Sydney, from tomorrow. Let us show you new software and websites for: gift shops, jewellers, bike shops, toy shops, fishing/outdoors businesses, garden centres/nurseries, pet shops, produce stores, firearms businesses and newsagents. Many web developers develop websites based in their capabilities and not so much on the requirements of the client. We think it is important to start with your requirements. We have developed a questionnaire for retailers, to help them clarify what they want and need in their businesses. Before we get to questions though, we offer background information. Every website has a costs associated with it. These depend on what is needed, what the business is prepared to pay for. Please note that the actual costs will vary based on your specific needs. 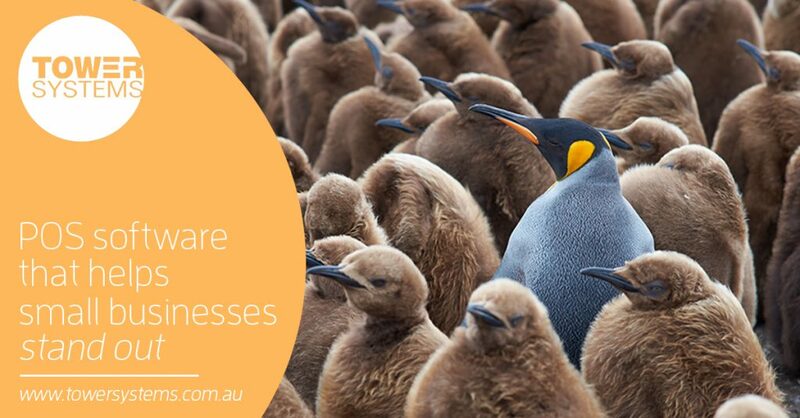 A business website is not an off the shelf product. It is something finely tailored to the needs of the business it represents. The Tower Systems approach is to consult thoroughly. This information is then considered when developing a proposal for a website. All development is done in Australia, by Australian skilled web developers, who understand Australian business and who can link the website to the Tower Systems POS software. We have seen many websites botched by offshore development. It is true, you get what you pay for. Cutting corners, saving money, by going offshore, can result in a poor solution that is actually not cost effective for the business. With success on the board, we are able to deliver a good solution to small business retailers. This can be a fresh site or a site refreshed from the existing. We are flexible depending on the needs of the business. Bringing together POS software and smart web development creates a beautiful and integrated solution for small business retailers. We are just back from another trade show and a common question from sales prospects approaching our stand was about customer service. They usually start by asking if our service is human, based in Australia and helpful. Our help desk service is human. Our help desk is based in Hawthorn, Victoria. Our help desk is helpful. But most important, our help desk service is transparent. Our customers can easily see, for themselves, how many calls are in the queue, how many have been solved so far in the day and how many are currently being worked on. This data view is real-time, providing our customers with valuable information that helps them make decisions about when to access support. We provide the data feed through a direct link to our internal CRM system and into the customer area of our website. This is another service in our POS software business where we go beyond what people often experience form a POS software help desk. Make the business more profitable. Xero does not connect to all POS software. Qs the premier small business account ting software in the world it is selective. 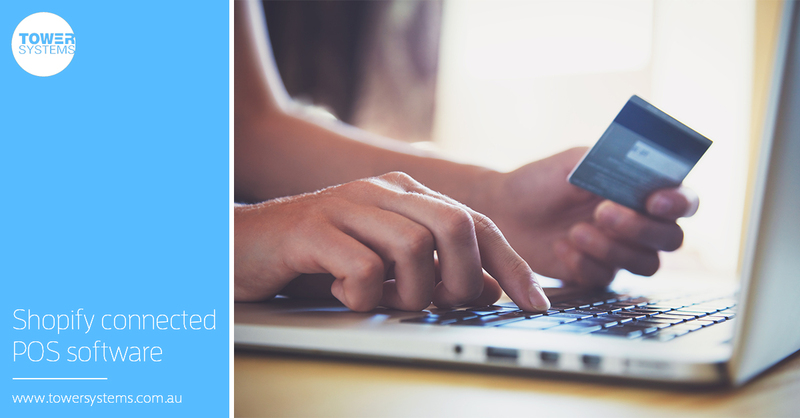 In addition to the Xero integration, Tower Systems POS software integrates with Shopify, magento and WooCommerce – the three leading e-commerce platforms in the world. The web development team at Tower has enhanced these to offer a multi-store solution whereby independent retailers can trade under a single branded website rather than needing their own website. The Xero integration is the back-office piece where real labour costs are reduced. We only sell to independent small business retailers in selected retail niches such as bike shops, jewellers and garden centres. Having the xero integration is vital as they are all competing with big business and every saving, no matter how small, is loved. Following Xerocon in Melbourne last week, we are set to bring our POS software to more small business retailers. Here at Tower Systems we believe in small business and we believe in small business retailers. We love helping them become powerful … through easy access to good business data. We love helping foster superheroes. For years, we here at Tower Systems have helped small business retailers to pitch shop local in a range of interesting and creative ways. Our work in this area has nothing to do with small business POS software, yet it has everything to do with it. Shopping local is important for local economies and we love helping small business retailers to encourage locals to shop local. These are other resources from us are free to anyone via our website with no password required. 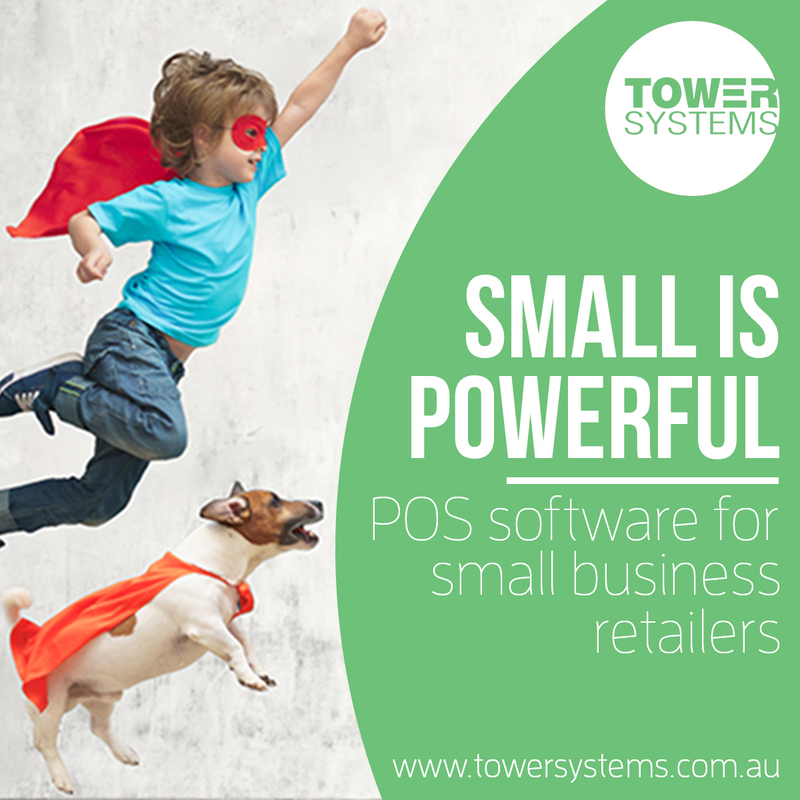 Through its help for small business retailers, POS software company Tower Systems helps beyond the software, beyond what is usual for a POS software company. If you feel overwhelmed and can’t work out what to do, reach for this list and try one of the practical and safe ideas. They cost nothing. The goal is to help you see small steps you can take to walk through whatever it is that makes you feel overwhelmed. Go for a 5k or longer walk outside, alone. Not a stroll, but a walk, at pace if possible. Unplugged, no phone, no music. Establish rituals for your day. How you start your day, how you end your day, lunchtime, bed time. For example, starting with breakfast, and a nice tea or coffee could be the calm start to the day you need. Have apps on your phone that are fun and you enjoy. Play one of these for a while to take your mind off things. It is amazing how our mind helps us resolve things when we turn away from those things. Learn meditation. From simple controlled breathing to yoga, meditation can be a perfect reset from a busy and overwhelming day. Play Scrabble through Facebook on your computer. You can play anytime with someone you have never met and will never speak to. Draw, even if you think you can’t. If you are not sure what to draw, draw why you feel overwhelmed. Write. Anything but you could try writing on the page about what it is that you think makes you feel overwhelmed. Talk. We are good listeners. Three-count breathing. Inhale for three counts. Hold for three counts. Exhale for three counts. Do this for, say, ten rounds. Then increase the count. The rhythmic nature of this and concentration can help you see ahead. Earth. Go to the beach, a park, your backyard and take your shoes and socks off and put your feet on the ground. Watch. Go to a playground and watch kids play. If there is a local sports game on near you, go watch that. Start a journal. Write in it every day. Be clear to yourself when the day is done. While it is tough in small business to turn off, have a threshold so that once you cross it, you have turned off and the time is yours. Find a quiet place, put on headphones connected to a music source and listen to your favorite album of all time, with the volume turned up and a do not disturb sign on the door. Get away to a safe place and write a note to your overwhelmed self. Give yourself honest advice you’d give your best friend if they came to you with the feelings you have. If you are struggling beyond what these suggestions can help with, consider speaking with your GP about a mental health plan. This provides access to medical professionals who can help you more effectively deal with what it is that leads you to feel overwhelmed. 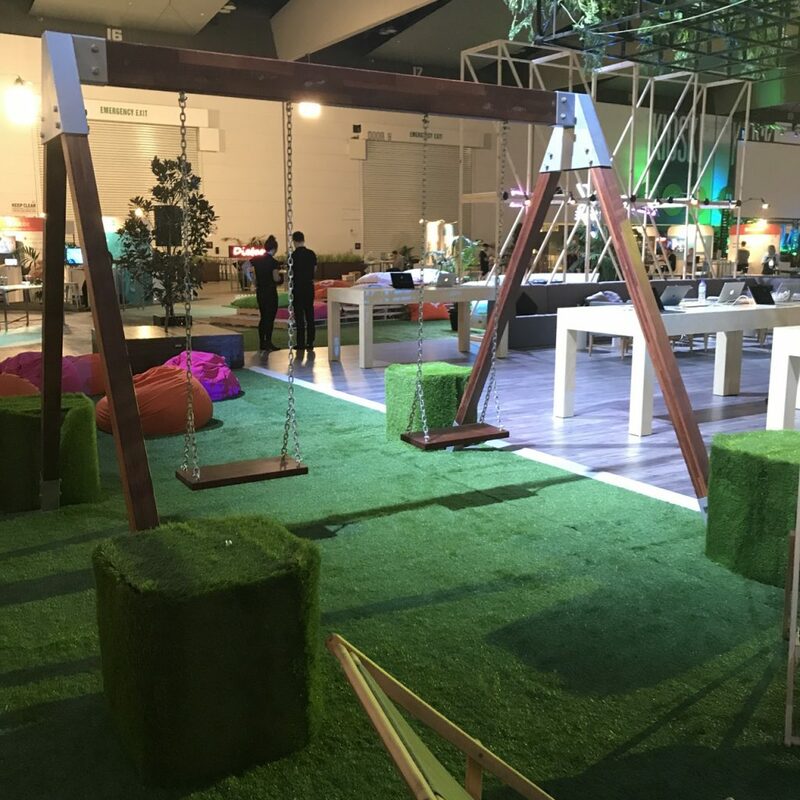 What a terrific conference Xerocon was. Awesome presentations about Xero. Wonderful people asking about our POS software. New friends. New clients. 100% professional. Glad to be among the best of the best with it comes to Xero. Tower Systems launched a new jigsaw website several weeks ago as the latest in a long line of retail business POS software connected websites. 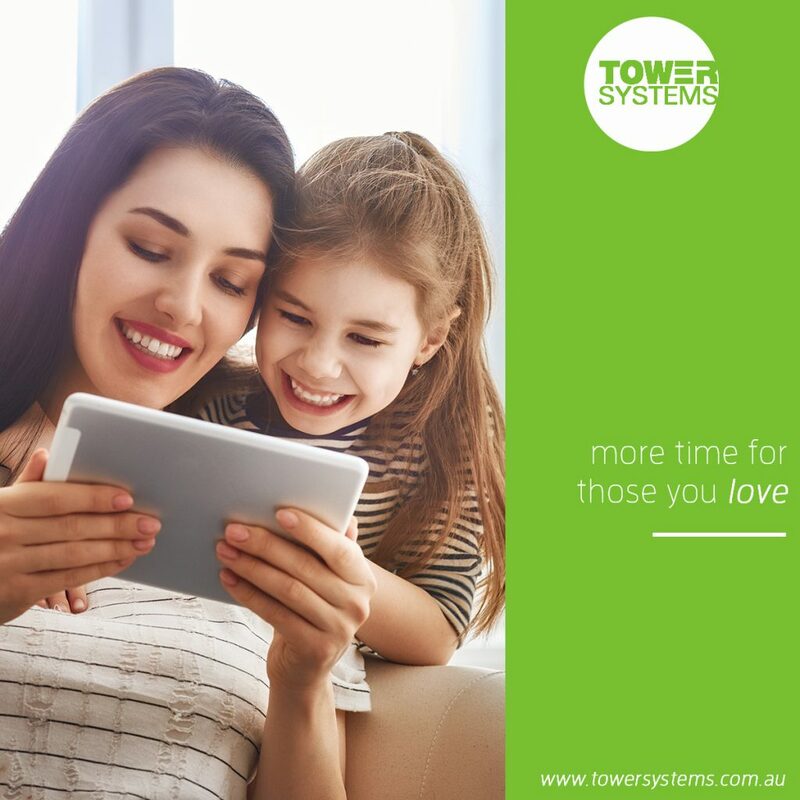 This latest website from the Melbourne based web team at Tower Systems is another in a comprehensive strategy that has already delivered many thousands of transactions to the commented small business retailers. Offering real time local store connection with accurate stock on hand data, the latest jigsaws website helps the connected retailers to not only sell online but to also help people find local retailers with jigsaw products they can purchase locally in-store. Connecting independently owned shops into a single brand based website is not common because of the back-end, operation, financial and technical challenges. Tower Systems has mastered this with many websites now live based on its unique and successful approach. More than a POS software company, Tower Systems provides small business retailers a comprehensive and integrated solution in-store and online. Tower Systems is delivering more Shopify connected POS software solutions to small business retailers keen for beautiful websites connected to professional. We have plenty of POS software integrated websites we can show off, demonstrating a broad range of design and integration capabilities. Our Shopify connected POS software solution is powerful and professional. It is direct, too, not through a third party tool. Tower Systems is proud to partner with Oxipay to bring interest free payment plans to high street retail, through our POS. A competitor of ours has sought to denigrate Oxipay, saying this publicly yesterday: Oxipay (which I know little about other then it is in Tasmania). This statement is untrue. Oxipay is national, generating excellent business for small and larger businesses. Tower systems is an early adopter partner, delivering Oxipay transactions daily now for many months, in every state and territory. Fid out more about Oxipay here. With Christmas marketing well underway already in toy stores, the team at Tower Systems is busy with support and assistance for toy store owners and staff on the time saving use of catalogue facilities in the company’s toy store software. Thanks to tremendous flexibility, toy store retailers can handle a broad range of catalogue requirements. This is vital in the highly competitive retail sector where locally owned independent businesses have mass retailers with which to compete. Being able to offer flexible catalogue offers and to do this quickly provides a flexible advantage to toy retailers. The catalogue facilities in the Tower Systems POS software have been developed with toy retailers. What this means is our software develo9pment leadership have spent time in toy shops, seeing first-hand the needs of toy shops in this and other business operational areas. This first-hand experience led to development of enhancements to the Tower Systems toy shop software in the catalogue and other areas. Retailers can have multiple catalogues running at once. A catalogue determines how a group of products is treated. handled through the period for which the catalogue is to run. Prices can be set for the catalogue period. Multi-buy options can be set for the catalogue period. The layering of catalogues enables small business retailers to be flexible and to take advantage of supplier offers that may come their way, and not be limited to only one offer. Accessed through a beautiful dashboard, the catalogue facilities in the Tower Systems software are comprehensive, best-practice and key to helping independent toy shops grow sales, especially leading up to Christmas, when sales are strong. Tower Systems works not only with retailers but also with suppliers and groups, enabling work by others to be leveraged into time savings for retailers. For example, we can take a catalogue file of special pricing to run for a period and turn this into a document that a retailer can import in seconds, thereby eliminating setup time in-store. We have business skilled folks on our Melbourne based help desk who9 also help retailers to create their own catalogue from scratch, to serve local business needs. The catalogue facilities in the Tower software run the gamut of needs, and beyond as they help toy businesses compete on a competitive stage. This is a Tower AdvantageTM. 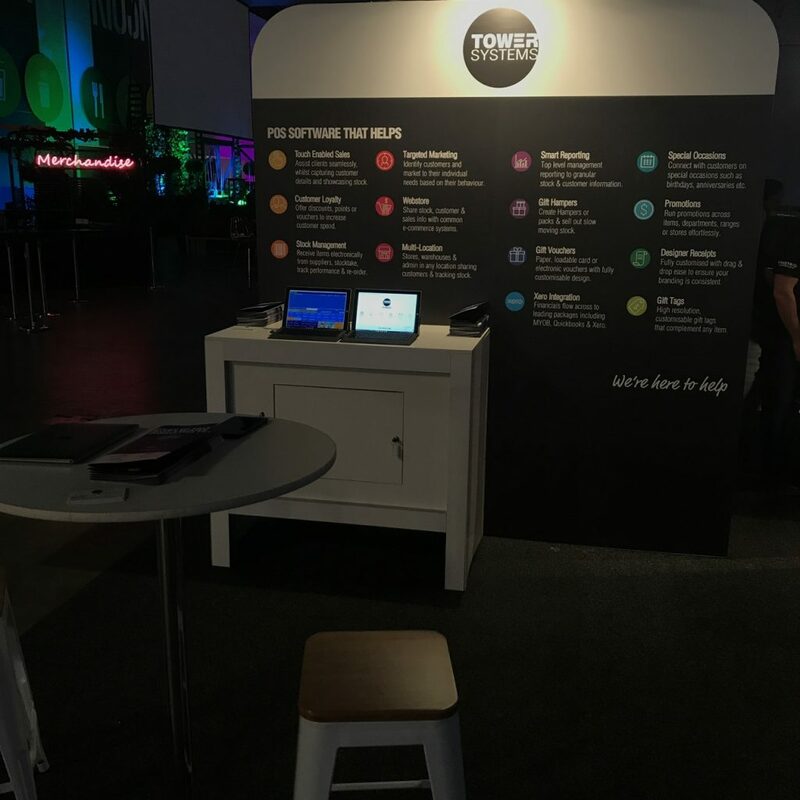 Tower Systems will be featured at Xerocon, the international Xero users conference, this week in Melbourne. We are grateful to Xero for the opportunity to participate. The POS software Xero link is important to our small business retail customers. Using this link, our customers are able to save time, cut mistakes and streamline business operations. This is a direct link, not through a third party. This saves money and time. It also ensures that ti is easier for questions to be resolved about data flow and similar topics. We back the Xero link with Xero skilled folks on our help desk. We can help small business retailers, bookkeepers as well as accounts with questions on the POS software / Xero integration. This is important as it shows the help desk service as going beyond what is usual for POS software help desks. Xero is selective as to the software companies it approves. It is good to ask a POS software company if their link is direct or through anther party. The Xero integration designed by Tower Systems, working with the folks at Xero, makes it easy for small business retailers to cut accounting paperwork and thereby tap into time and money saving benefits. We use our Xero integrated POS software ourselves. This enables us to provide practical advice on how to benefit the most from Xero and our POS software working together. Our customers have access to our in-house CPA, to provide a professional accounting perspective on the link and how to get the most from it. Tower Systems is a unique POS software company. In addition to serving 3,500+ small business retailers, we own and operate several retail businesses as live test sites. Our in-house CPA manages the accounts for these retail businesses. Connecting to Xero can help a small business eliminate the need for a bookkeeper and shift out of business accounting functions to the end of the year. W have seen businesses cut $5,000 form their operating costs by implementing the Xero link. This saving and more can be significant for a retail business. 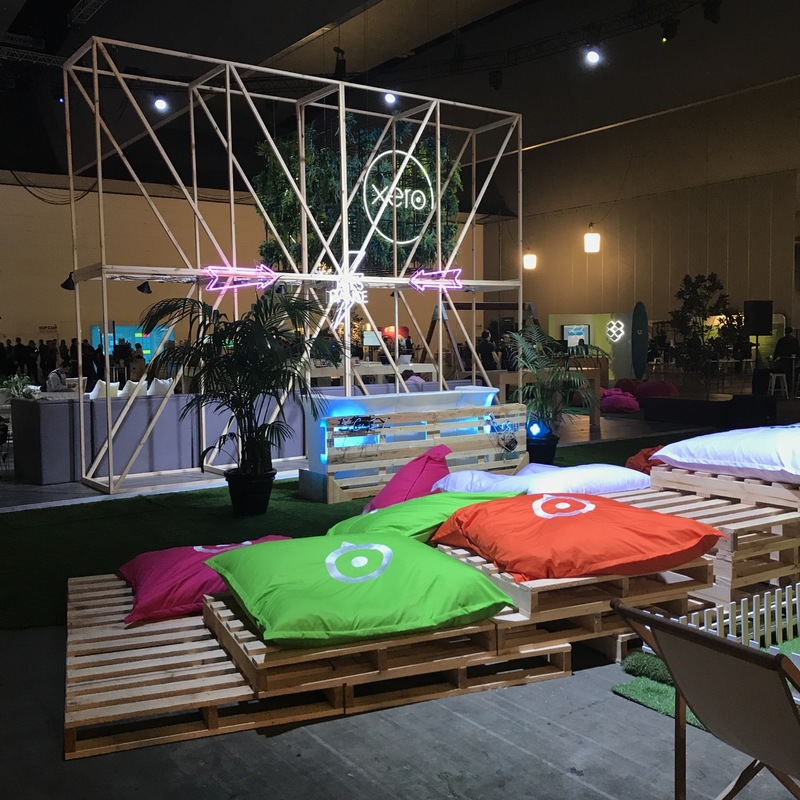 If you are a Xero user and plan to be at Xerocon this week, check us out. We are thrilled to be part of this event. This is another in our series of practice advice for small business retailers. How to make the most of the teacher gift opportunity. Gifts for teachers can be lucrative not only at the end of the year but also through the year by establishing your business as a destination for gifts for teachers. As with much in retail, it takes a commitment of time, space and capital. While you can make money sourcing a teacher pack from a supplier, you will make more by taking a broader approach. Our advice is that you offer a selection of gifts for teachers including the traditional plaques, mugs, apple-themed, frames and pens but this you expand the offer to include other suggested gifts such as scarves, Charlie Bears, soap, fudge, plush, jigsaw puzzles and other premium gifts. Don’t be restricted by the traditional teacher gifts. Also, don’t be restricted by a price point. We suggest you show how two or more students could pool funds to buy a bigger gift such as a jigsaw puzzle. Show your customers how they can do this. For example: $19.99 or $10 each if two of you share giving this gift. Maybe even consider a whole of class gift. Promote the broader range of gifts with an appropriate sign such as: GIVE SOMETHING THAT WILL ACTUALLY BE USED. Have your suggested gifts represented together in a location branded as gifts for teachers. Be sure to include cards in your range – Thank You cards and blank cards. Consider packaging selected gifts and cards together to make buying easy. Also consider a discount if customers purchase above a threshold for multiple teachers. For example, you could offer 10% off for purchases of $25.00 or more. Choose a spend hurdle that suits your area. Offer a $50 shopping voucher for one lucky teacher. To get an enter customers should purchase a card and gift from you. Include a flyer with all purchases announcing your teacher gift range. Leverage the local parents association to have them help you promote the offer. Consider having them hand out a coupon offering 5% off for purchases a 5% to them for each coupon redeemed. Setup a THANK YOU TEACHER WALL where anyone can write a note thanking their teacher – from any generation or year. Maybe run a Teacher of the Year competition where students vote. This could work well in a smaller location. However be careful as it could be seen as divisive if not done well.